This is going to be an amazing day for families that you won't want to miss! 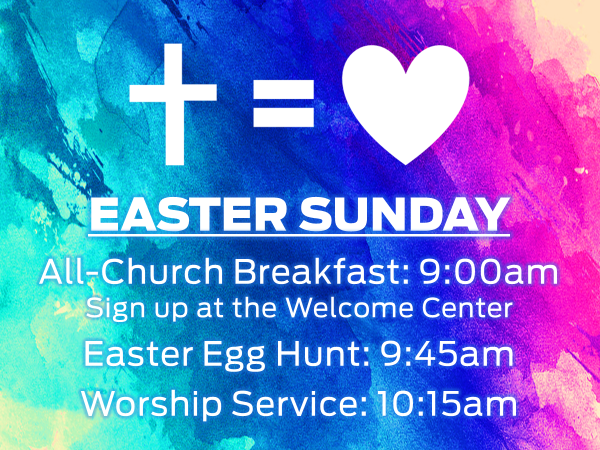 We will be focusing on the greatest event in history and how it communicates the Love of God to all people. Our sermon text is Romans 5:6-8 so read ahead and prepare your heart. Don't forget about the Good Friday Service this Friday at First Baptist Church in St. Joseph.It starts at 7pm and will feature Pastor John Hosler sharing the message. We hope to see you there.